On this 10 night trip, you’ll discover the hidden side to the exotic island of Sri Lanka as we take you north of Colombo to travel west to east from the wildlife of Wilpattu, through the ancient culture of Sigiriya and onto the palm-fringed beaches of Uga Bay. Packed full of everything we love best about this teardrop nation in the heart of the Indian Ocean, you’ll come out the other side besotted with Sri Lanka. Far from the madding crowds to the south of the island, this promises to be a trip where you can relax and discover in equal measure. So back your binoculars, snorkels and hiking boots and let the adventure begin. After flying into Colombo, you’ll begin the journey north to Wilpattu National Park. 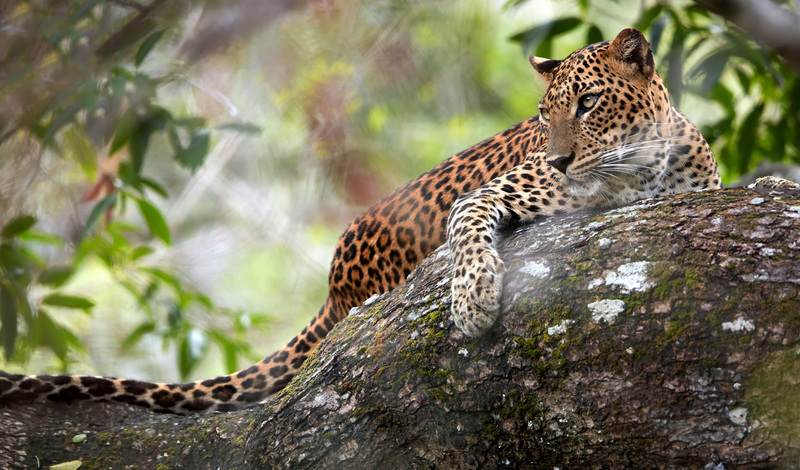 Forget the bustling plain of Yala, for Wilpattu is real leopard country. You’ll spend your first few nights at the luxurious Leopard Trails camp, fully immersed in the wildlife that surrounds you. Bounded to the North and South by the Modara Gamaru and Kala Oya Rivers and peppered with large lakes, known as ‘villus’, Wilpattu National Park provides the perfect setting for spotting game, even in times of drought. But it’s not just leopards that you’ll be spying and you should also keep your eyes peeled for sloth bears, barking deer and Asian elephants. Join expert guides as you head out onto the plains in search of fauna – but also listen in as they unveil the great archaeological and historical importance of the park. Wildlife and history – oh, and tantalising Sri Lankan cuisine served around a campfire? It definitely sets the tone for the rest of the trip. From Wilpattu, you’ll continue east to reach your next top at the foot of Sri Lanka’s Cultural Triangle; Sigiriya. Hole up at the beautiful Water Gardens; a peaceful retreat set amid landscaped gardens and with stunning views onto Sigiriya’s star attraction and one of country’s oldest historic monuments; The Rock. Spend tomorrow with a private guide visiting this ancient site and climbing your way to the top, past ancient wall paintings, to reach views that extend all the way into the horizon over dense jungle mingled with scorched desert. Dust off each day with a dip in the pool, a massage at the spa and a moonlit gourmet dinner. After a cultural few days, a final drive east will take you to your final stop on the coast where you can hole up at the stylish Uga Bay Resort. Oozing luxury and relaxation, it’s beached-out bliss all the way here. Lie back on the perfect white sands and dip your feet into the warm Indian Ocean. Four nights stay means plenty of time to indulge in a local Ayurvedic massage where you can listen to the calming ocean waves within Uga Bay’s beachfront spa. 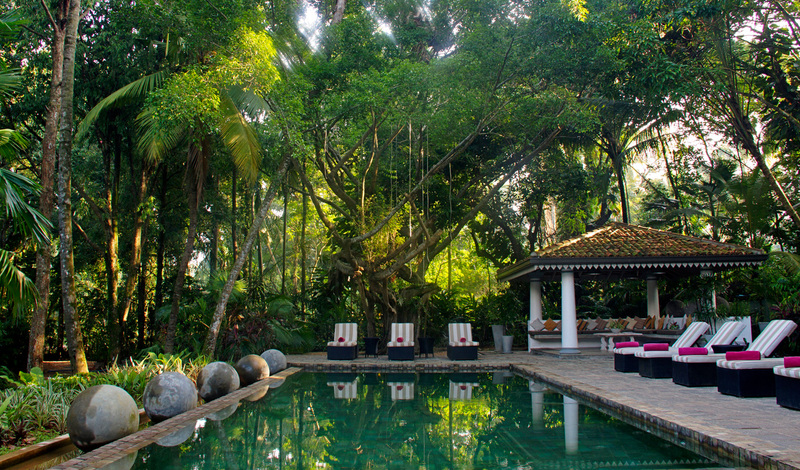 Finally, before returning home, stop over in Colombo for a night at the hidden oasis of The Wallawwa – a colonial manor hotel ideally located close to the airport, but far enough to forget those last day blues. Here, you can enjoy your last few bites of the freshest fusion in Asian cuisine whilst overlooking its exquisite gardens. Authentic and chic, the rooms offer a lovely last slice of luxury so you can sleep soundly on your last night in Sri Lankan paradise.